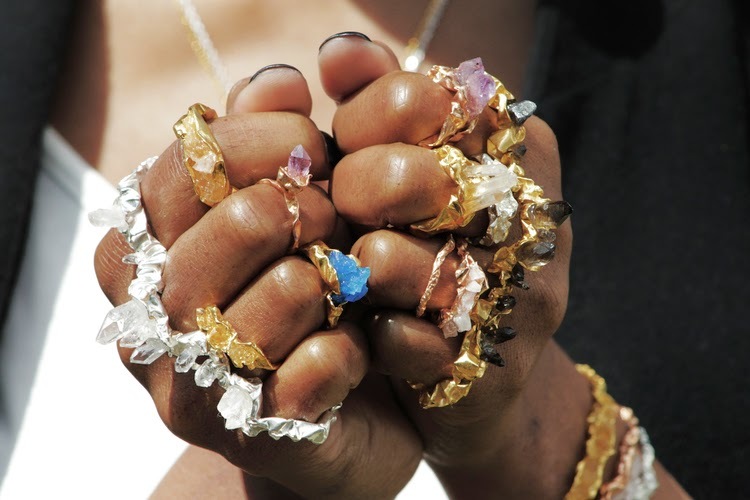 Wearing jewellery in summer can be irritating. The last thing I want when it's hot and sweaty is loads of beads and trinkets jangling about. by the time I get on the train they're usually shoved in my bag and getting tangled up. Obviously the only answer is a massive cocktail ring that might take someone's eye out.. 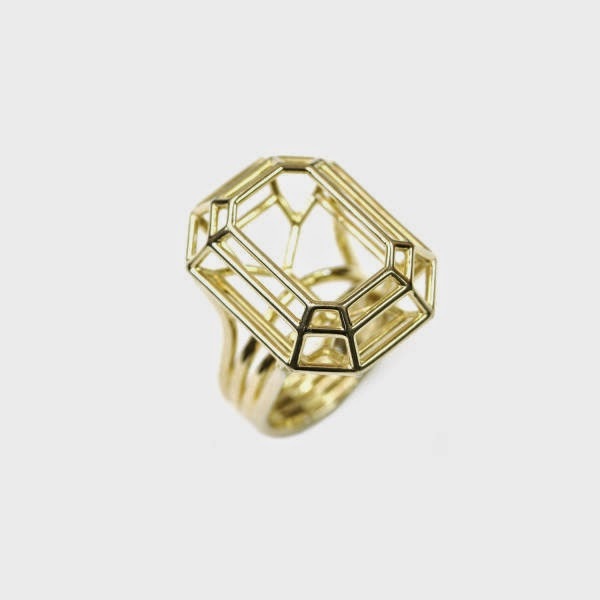 I do like this cage jewel ring from Flake at Boticca. Wish it wasn't £200, though. Damn. 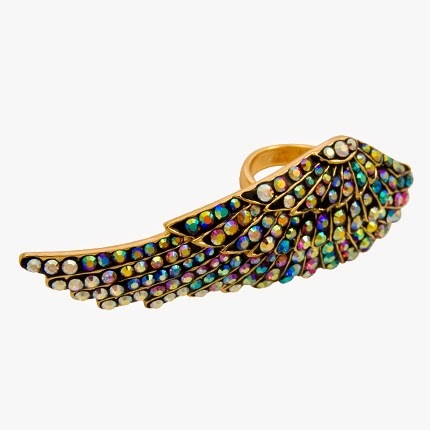 I'm still madly in love with this crystal peacock ring from Accessorize, which is actually more wearable than it looks. And it's a bargain at £12. 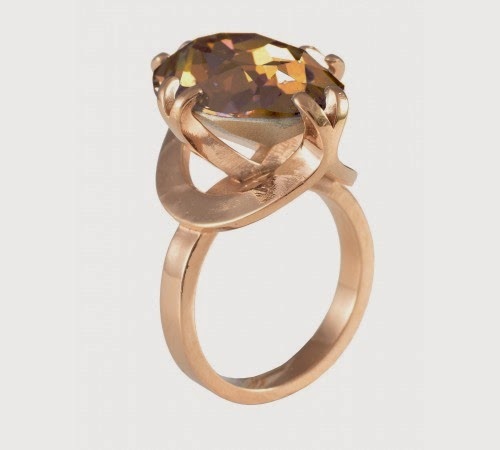 This twisted claw setting ring is hitting the perfect balance between 'what the hell is that on your finger?' and 'oh what an interesting piece of jewellery'. 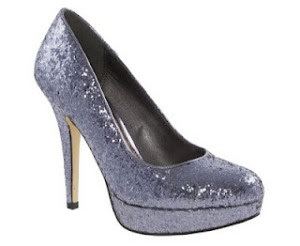 I tend to lean towards the former, but this is in the Orit sale and I'm very tempted. 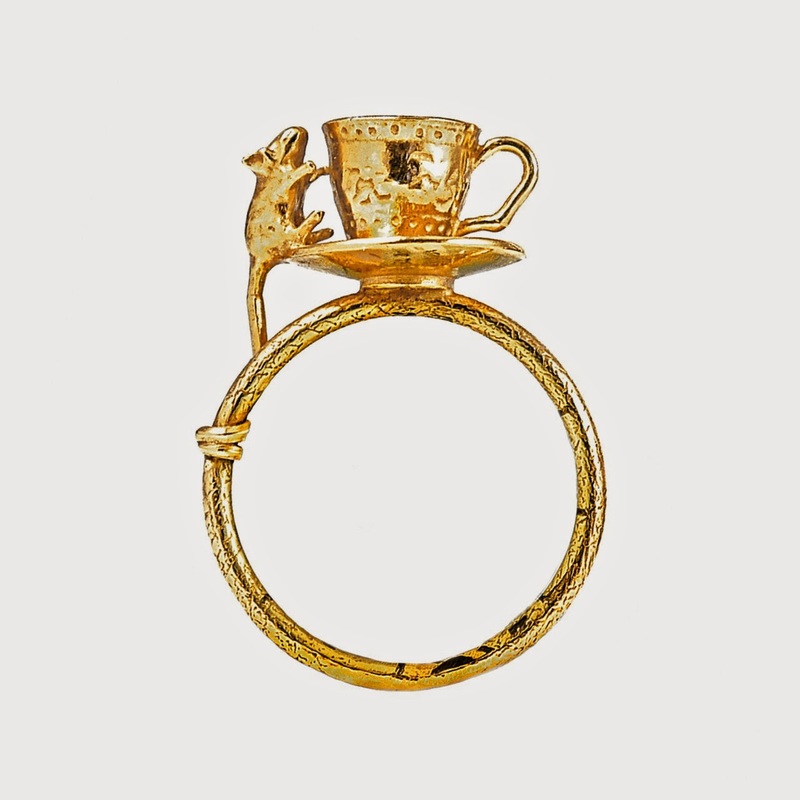 Oh this mouse ring is cute! 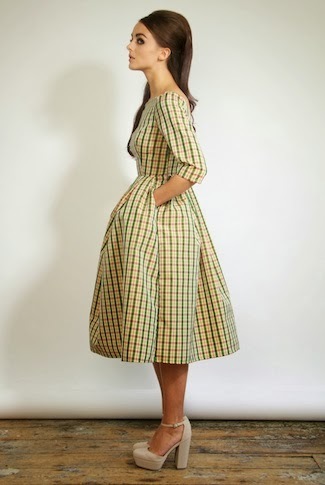 It's an Alex Monroe classic and it's £150. I like the curly mouse tail. There's so much bling going on in this photo. I absolutely love it. These pieces are the work of Nina Huang and prices for her rings start at £160. If you can afford to wear them all at once, I really recommend that you do. And that you don't gesture too wildly. And that you take out insurance. 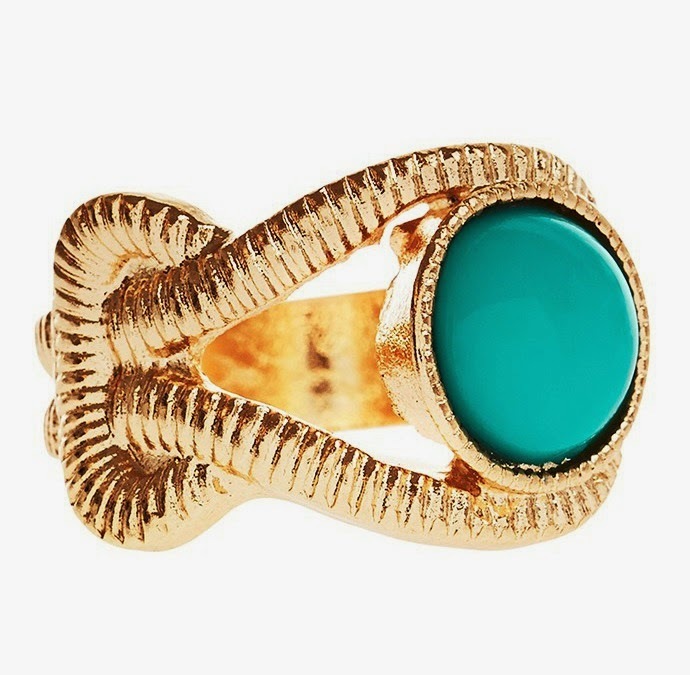 Joy's new Egyptian range of jewellery is realy lovely, particularly this twisted ring. It's not too over the top and it's only £8. I've got a few of their pieces of jewellery and they're much less 'cheap bling' in real life, I don't think the photoshopping and white background does the gold any favours here. 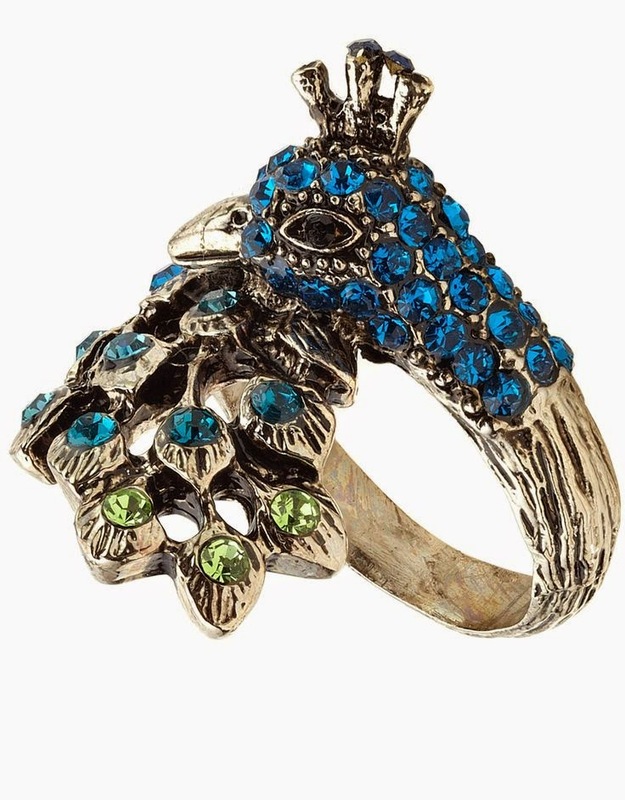 Now, this snake ring from Regal Rose isn't in stock at the moment but it will come back. 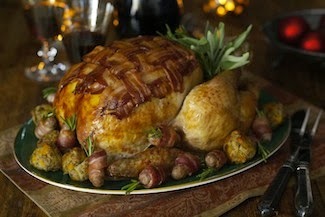 It's so gorgeous that I had to include it so you can watch the website like a hawk until it returns. 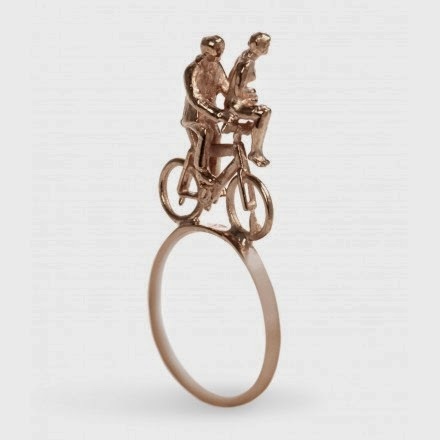 This bicycle ring by Kyle Hopkins is the sweetest. His website is the most annoying. Sorry in advance. 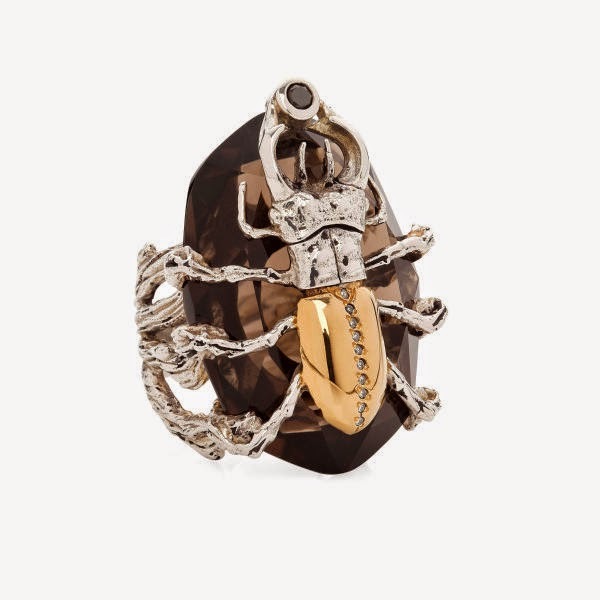 Saving the best for last, this stag beetle ring by Yasmin Everley has been on my wishlist for such a long time. I love him and his creepy and ostentatious ways. Yes, he's holding a black diamond in his pincers. Yes, he's got diamonds running down his back. 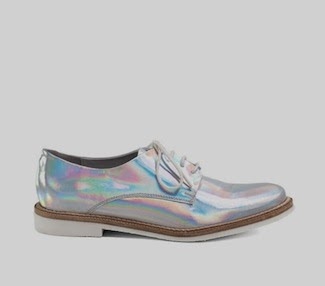 Yes, he's £575 but I don't care. One day him and his expensive little wriggly legs will be mine. Gorgeous! 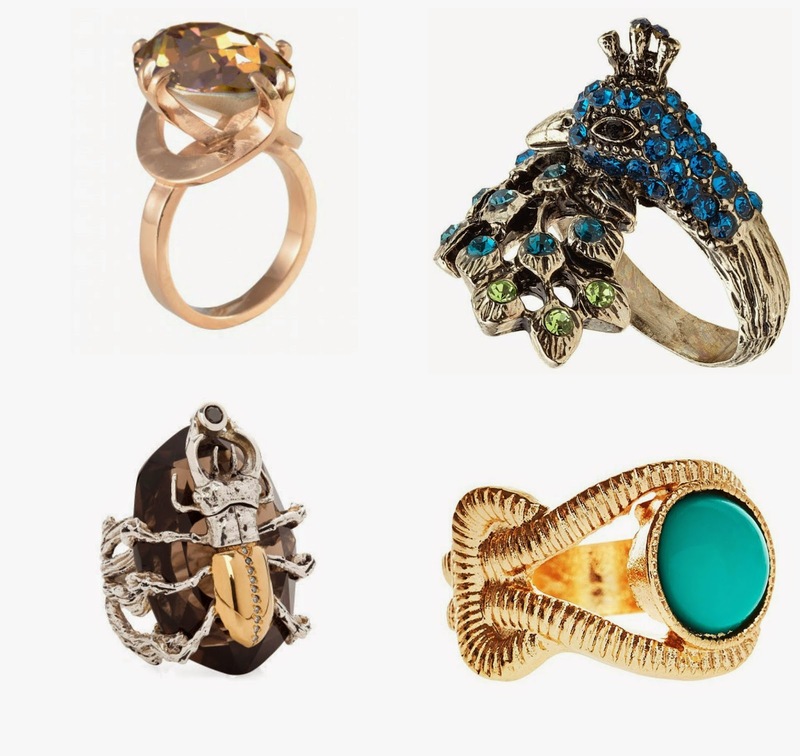 I've been trying to find that peacock ring (to no avail) for ages. I bought the cat ring instead, then lost it. The lesson here is NO NICE THINGS FOR KAT! It took me a while to find one as well - rather than on the counter showing off its blingy feathers they were hidden away on the rack of rings that no one can really see. If I spot one I'll pick it up for you. 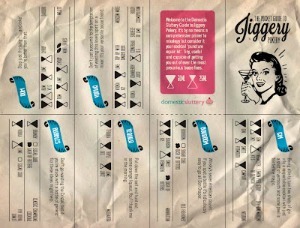 Oh god, it sounds like a drunken and expensive game of cats cradle.